All art is political in the sense that all art takes place in the public arena and engages with an already existing ideology. Yet there are times when art becomes dangerously political for both the artist and the viewers who engage with that art. Think of Jacques-Louis David’s involvement in the French Revolution—his individual investment in art following the bloodshed —and his imprisonment during the reign of terror. If it were not for certain sympathisers, David may well have ended up another victim of the guillotine. Goya is another example of an artist who fell foul of government power. There are instances in the 20th century when artists have faced down political power directly. Consider the photomontages of John Heartfield. Heartfield risked his life at times to produce covers for the magazine A/Z, which defied both Hitler and the Nazi Party. The Chinese artist, Ai Weiwei, offers is an important contemporary example. In 2011, Weiwei was arrested in China following a crack down by the government on so-called “political dissidents” (a specific category that the Chinese government uses to classify those who seek to subvert state power) for “alleged economic crimes” against the Chinese state. 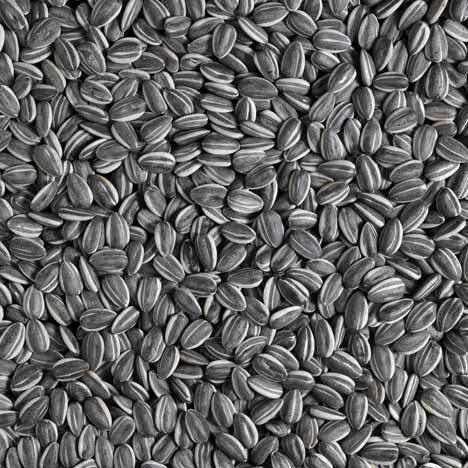 Weiwei has used his art to address both the corruption of the Chinese communist government and its outright neglect of human rights, particularly in the realm of the freedom of speech and thought. Weiwei has been successful in using the internet (which is severely restricted in China) as a medium for his art. His work is informed by two interconnected strands, his involvement with the Chinese avant-garde group “Stars” (which he helped found in 1978 during his time in the Beijing Film Academy) and the fact that he spent some of his formative years in New York, engaging there with the ideas of conceptual art, in particular the idea of the readymade. Many of the concepts and much of the material that Weiwei uses in his art practice are informed by post-conceptual thinking. 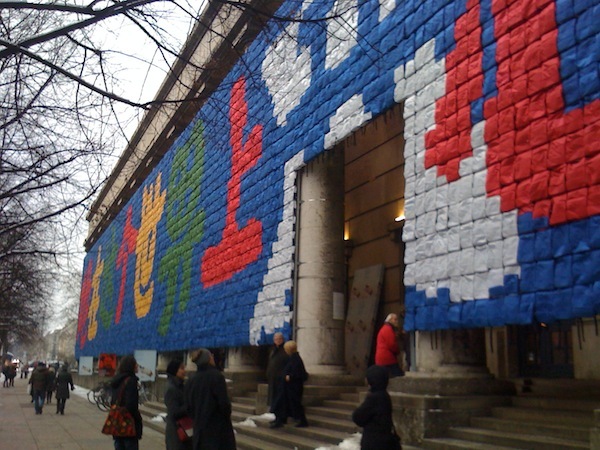 Weiwei has exhibited successfully in the West in many major shows, for example, the 48th Venice Biennale in Italy (1999) and Documenta 12 (2007). 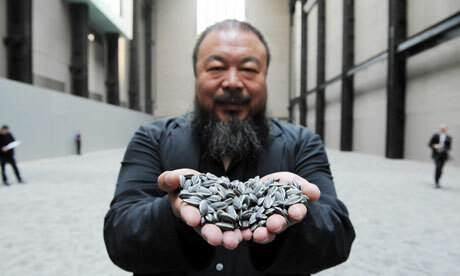 He also exhibited Sunflower Seeds (October, 2010) in the Turbine Hall in the Tate Modern. In this work, Weiwei filled the floor of the huge hall with one hundred million porcelain seeds, each individually hand-painted in the town of Jingdezhen by 1,600 Chinese artisans. Participants were encouraged to walk over the exhibited space (or even roll in the work) in order to experience the ideas of the effect of mass consumption on Chinese industry and 20th-century China’s history of famine and collective work. However, on October 16, 2010, Tate Modern stopped people from walking on the exhibit due to health liability concerns over porcelain dust. Perhaps the work that contributed most to Weiwei’s current imprisonment and the destruction of his studio was his investigation of corruption in the construction of the schools that collapsed during the 2008 earthquake in Sichuan, China. Like many others, Weiwei investigated how improper material and the contravention of civil engineering laws led to the wholesale destruction of schools (which led in turn to the deaths of thousands of children trapped within them), Weiwei has produced a list of all the victims of the earthquake on his blog. This act is typical Weiwei’s use of the internet to communicate information. This information is his “art”, in much the way that American artists of the late 1960s used words and ideas as art. 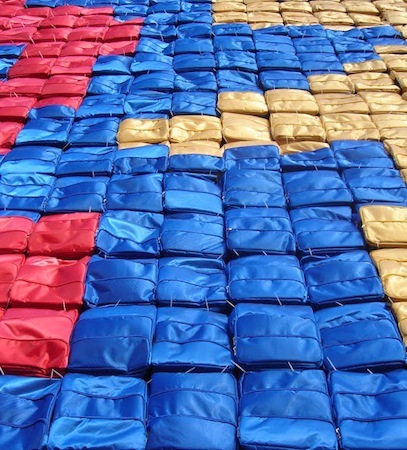 The idea to use backpacks came from my visit to Sichuan after the earthquake in May 2008. During the earthquake many schools collapsed. Thousands of young students lost their lives, and you could see bags and study material everywhere. Then you realize individual life, media, and the lives of the students are serving very different purposes. The lives of the students disappeared within the state propaganda, and very soon everybody will forget everything. The title of the show referred to the apologies frequently expressed by governments and corporations when their negligence leads to tragedies, such as the collapse of schools during the earthquake. 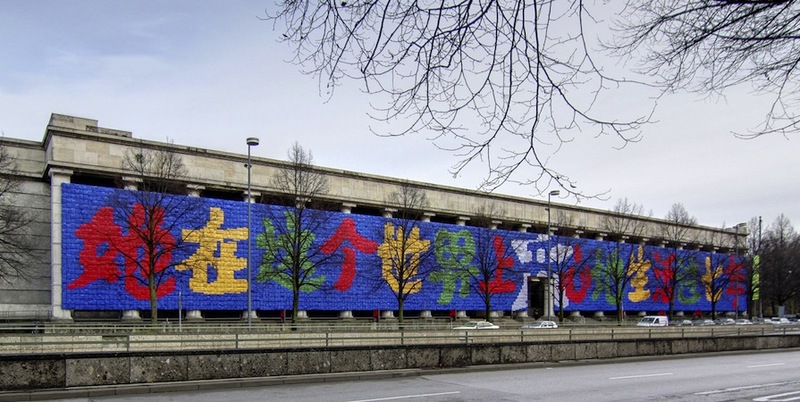 Two months before the opening of this exhibition Weiwei suffered a severe beating from Chinese police in Chengdu in August 2009, where he was trying to testify for Tan Zuoren, a fellow investigator of the shoddy construction and the student casualties. Weiwei underwent emergency brain surgery for internal bleeding as a result of the assault. On April 3rd 2011, Weiwei was arrested at Beijing’s airport while while waiting for a flight to Hong Kong. While his detention is broadly believed to be linked to his criticism of the Chinese government, the Chinese Ministry of Foreign Affairs declared that he is “under investigation for alleged economic crimes.” Weiwei’s participation in the Jasmine Rallies, a series of peaceful protests which took place all over China in February, no doubt contributed to his arrest. *Historical Note on the Haus der Kunst: The Haus der Kunst (designed by Paul Ludwig Troost, “first master builder to the führer”) was sited by Adolf Hitler and sought to express Nazi ideology by using stone from German quarries and with its references to the work of Klenze and Schinkel. From its opening in 1937, the Haus der Kunst held exhibitions glorifying the “Blood and Soil” propaganda of the Nazi regime. Cite this page as: JP McMahon, "Ai Weiwei, Remembering and the Politics of Dissent," in Smarthistory, September 7, 2018, accessed April 19, 2019, https://smarthistory.org/ai-weiwei-remembering-and-the-politics-of-dissent-2/.